MUMBAI: Calling it a draconian act, social activist Aruna Roy has demanded immediate revocation of section 66A of the Information Technology (IT) Act, 2000. Roy was addressing participants at Western India Right to Information (RTI) convention in Mumbai on Saturday, when she condemned the usage of the act she said oppresses the citizens’ freedom of speech. “We strongly condemn the use of social policing, boycott and other means of state coercion to silence citizens, legitimised through regressive legislations such as the IT Act. 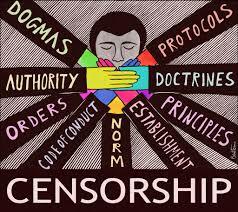 We demand that section 66A of the IT Act be deleted,” Roy stated in a press release. Following the recent arrest of Syed Vaqas along with four friends from Bhatkal, Karnataka, for sending a message caricaturing the BJP government’s election slogan and the action taken against Devu Chodankar, a 31-year-old naval engineer from Goa, for alleged inflammatory comments against then-PM-candidate Narendra Modi on social media, activists are building public support so that such arrests can be prevented. “Action is justified if someone is posting inflammatory messages to incite violence, but just for criticising people citizens shouldn’t be booked. This curbs freedom of speech and therefore this law should be publicly discussed. We The Information Technology Act, 2000, was amended in 2008, which contains section 66A The section prescribes punishment for sending offensive messages through a communication service or device. The term offensive includes information that is grossly offensive or has menacing character, which one knows to be false, but relays it for the purpose of causing annoyance, inconvenience, danger, insult, injury, hatred or ill will. will be calling public meetings,” said social activist Nikhil Dye. The activists have published a two-page letter which is being circulated online to gather support. “These days, social networking is common and any expression made by people on it should not be held against them until incites violence,” Dye said. More than 300 RTI activists participated in the convention. “I first used RTI to access cybercrime cases in the city. Initially, the police department was reluctant to provide information, but I got it through RTI. I have since made RTI queries to help my friends and their families,” said Sandeep Yadav, 22, one of the participants at the convention.